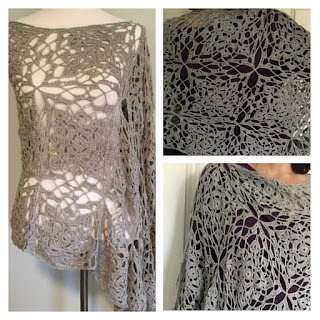 The link to the pattern book will be available as soon as it is published online. 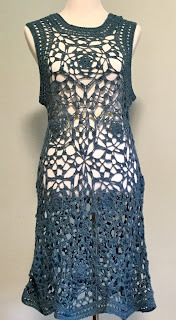 A modern seamless lace crochet motif pattern by contemporary artist Kristen Stein. This romantic, flowy, Art-Deco inspired garment measures 43” long from shoulder to pointed hem. 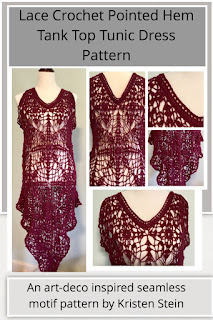 It can easily be worn as a long tunic, or as an overlay dress or fancy bathing suit coverup. The piece is shorter on the sides with a slight flare, it then comes to a long point in the front and back. 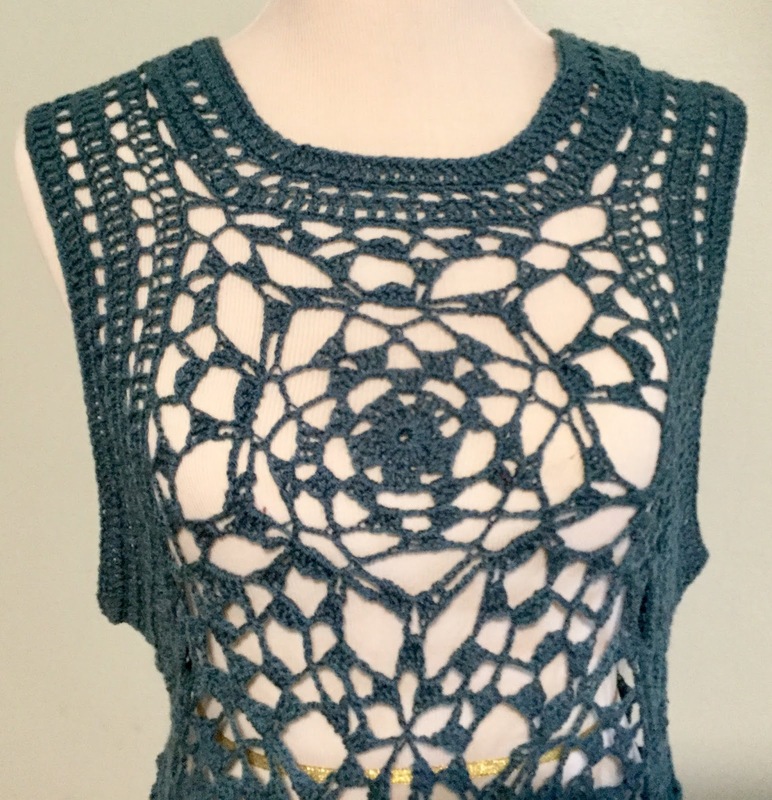 The top is tank top style. 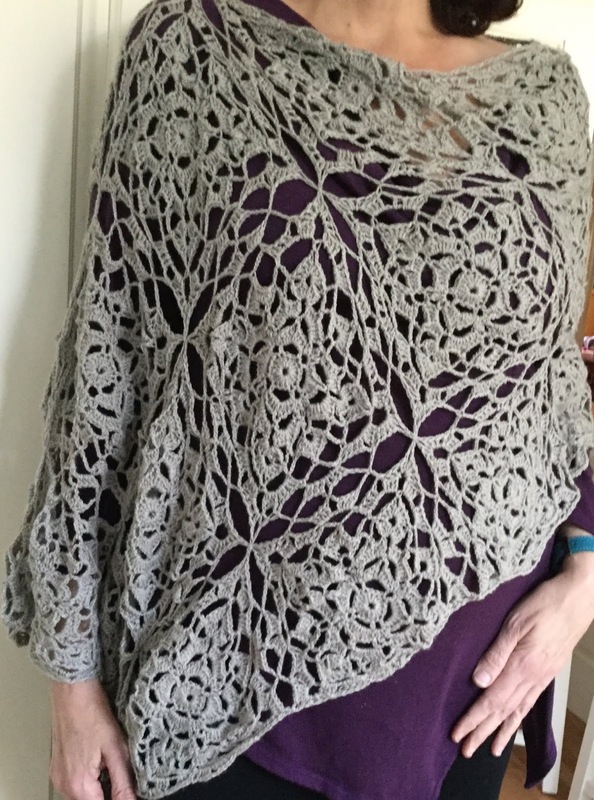 The piece was made with 3 skeins of #1 yarn. It’s very lightweight and easy to wear. It is designed as a one-size-fits most pattern with recommendations provided to alter size if desired. available as a Pre-Order. Release Date April 14, 2019. 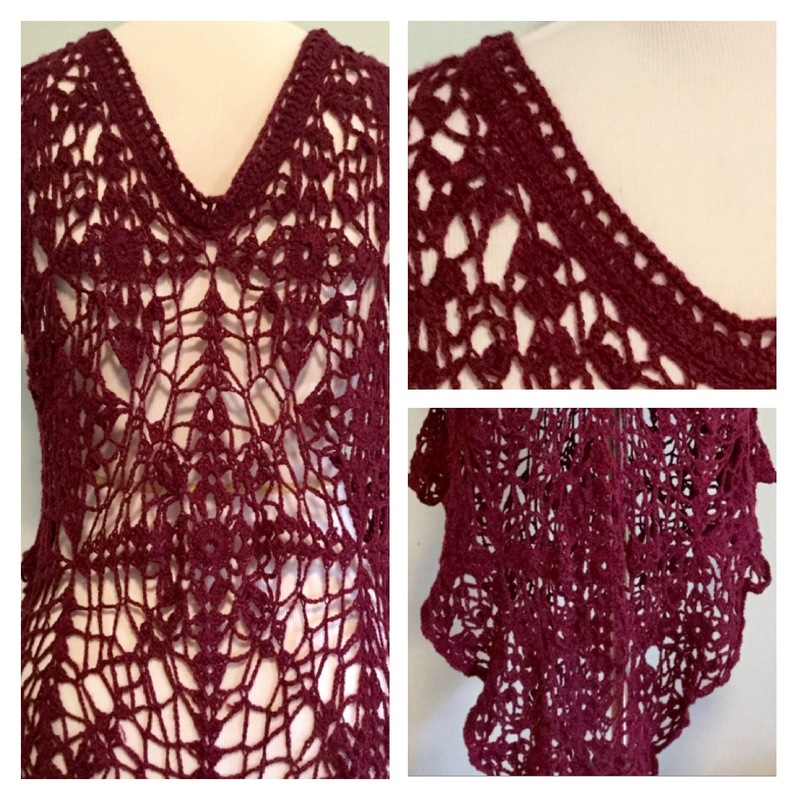 Flutter Cap Sleeve Top: Lace Crochet Motif Pattern - A modern & romantic granny square seamless crochet motif pattern. 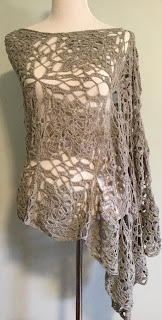 This pattern uses lace crochet motifs to create a beautiful and romantic flutter cap-sleeve top with slight ruffle effect. The motifs are joined together to provide a lace-inspired top that is perfect for the spring and summer months worn over a camisole or tank. 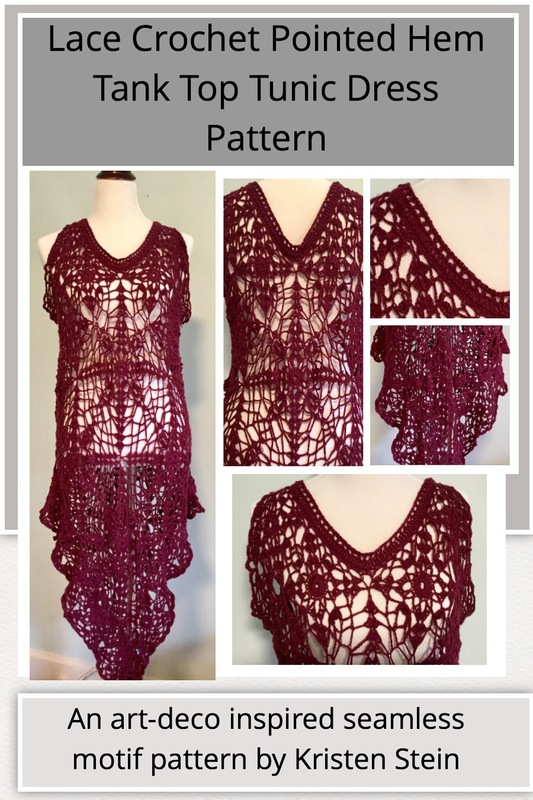 The pattern is written as a 'one size fits most' with suggestions on how to change the width of the garment, or modify the length to create a tunic top. The item as shown in the photos used less than two skeins of yarn and cost less than $8.00 to make. 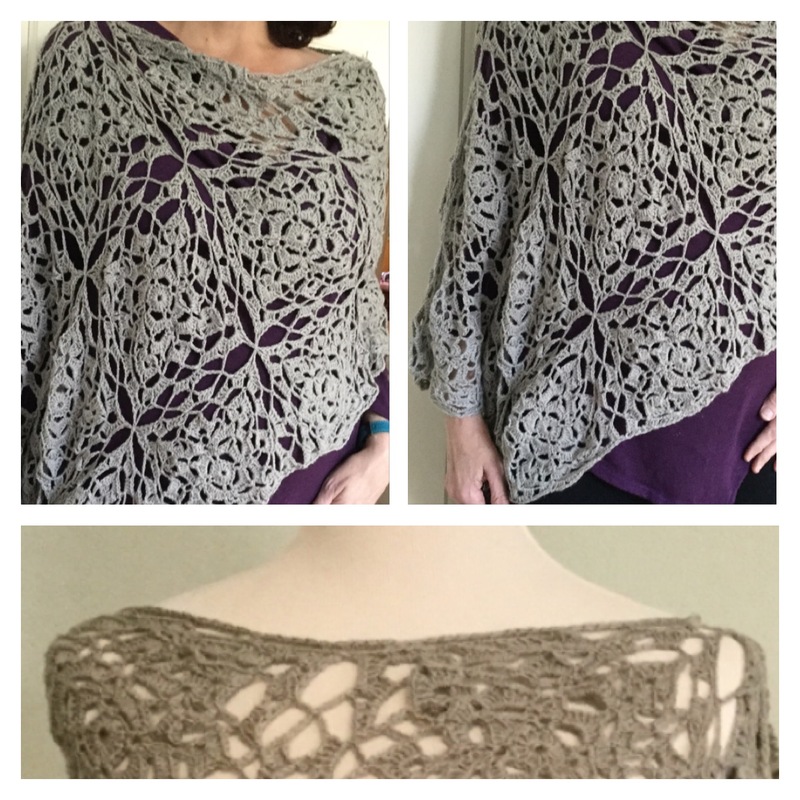 The pattern is easy to replicate and crochets quickly. My love/hate relationship with meringue has turned to love! 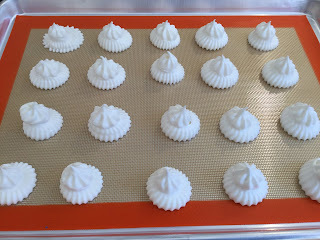 As you may know from my previous post, I’ve had a love / hate relationship with making meringue cookies. I absolutely love them when they turn out as expected and hate when they fail. Luckily, my last attempts have been pretty successful and my daughter and her friends have enjoyed most of my experimental batches. My hand mixer finally died, so I upgraded to an inexpensive stand mixer. It helps a little, but isn’t all that necessary for getting good peaks in the meringue. A handheld one works fine. 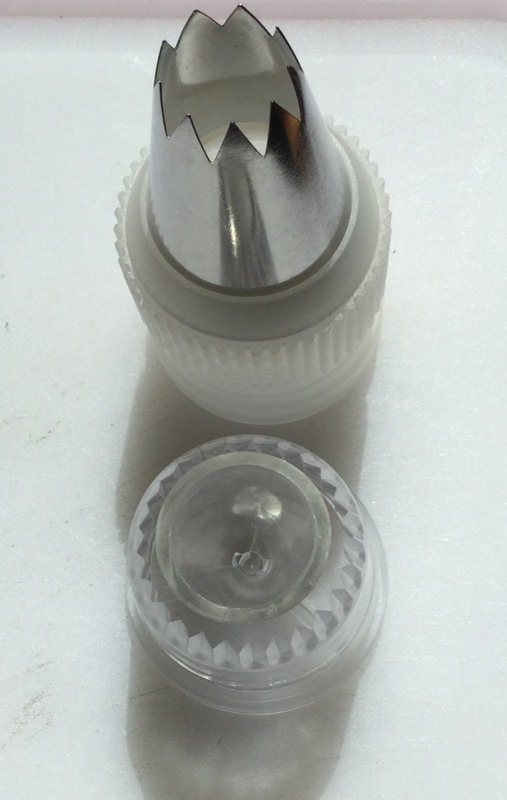 On the most recent batch, I was able to make 36 meringue rings using a sultan piping tip. 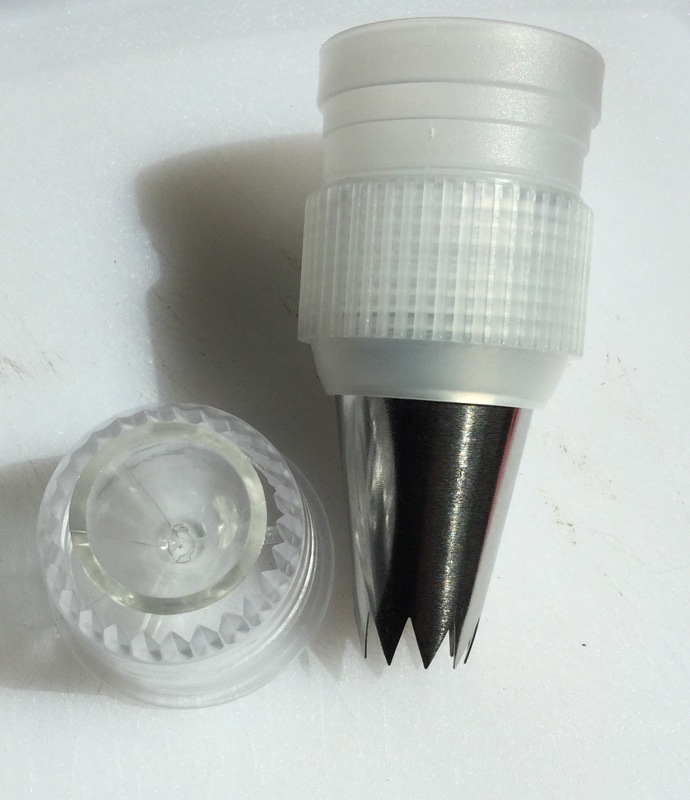 I then filled the center hole using the large star tip to pipe a little star into the center of each meringue. I prefer to use parchment paper when I make meringues, but the sultan (sultane) piping tip works better when I use the silicone baking mat. It is heavier and doesn’t lift up as easily as the parchment paper. If you use paper, you might want to “glue” the corner down with a bit of the meringue paste, or tape the corners down to prevent the paper from lifting as you pipe the rings. Baked in convection oven at 225 for 35 minutes and then left in warm oven until cool. About another 30 minutes. Next time, I might try the convection oven for 45 minutes at 200 degrees F. the complete directions can be found in my earlier post. 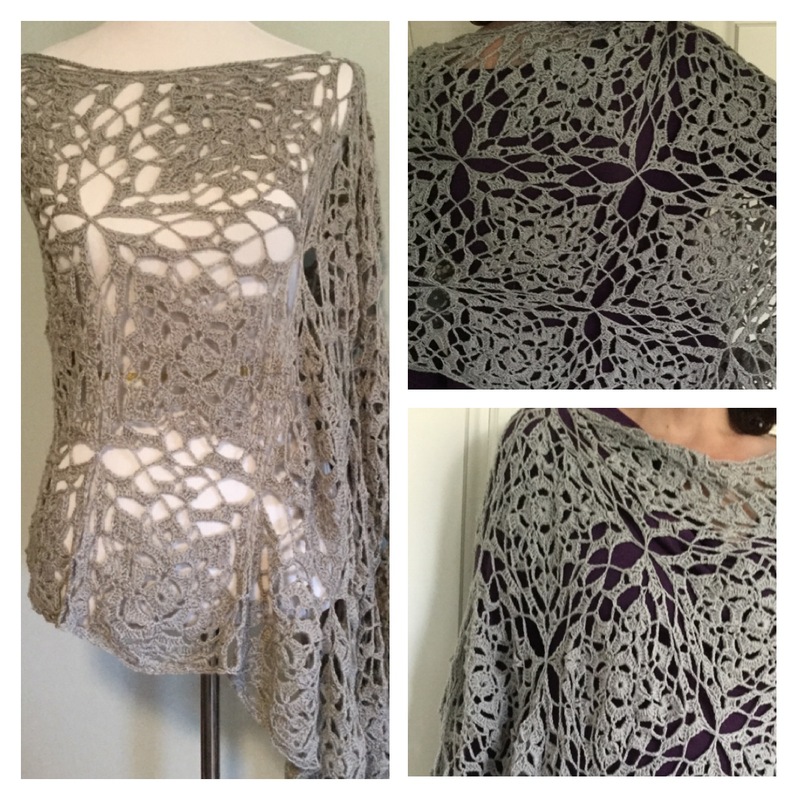 New crochet pattern: Asymmetric High-Low Shawl Top. New crochet pattern for a modern asymmetric shawl cape top done with lace motifs. The cape-like top is worn over the shoulder on the short side and then has a single arm opening on the long side. 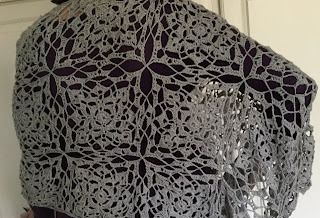 This allows for greater ease of movement and allows you to keep the shawl in place better. The result is a super comfortable layering garment that has a beautiful feminine look with contemporary flair. 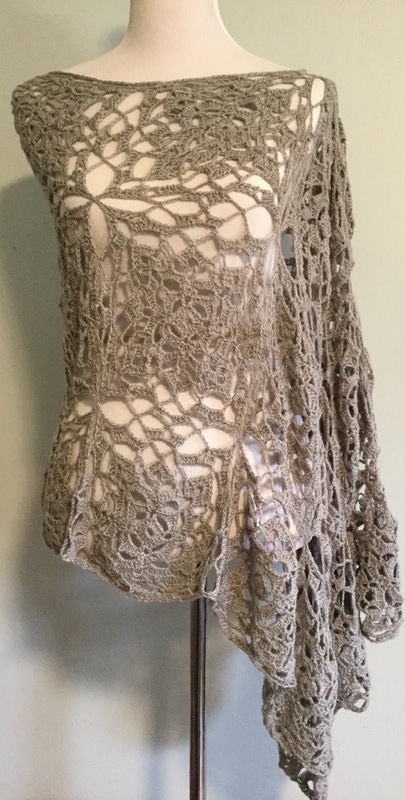 It is a great versatile piece that can be worn with so many outfits. Dressy or casual. Best of all, it can be made with less than 3 skeins of yarn. 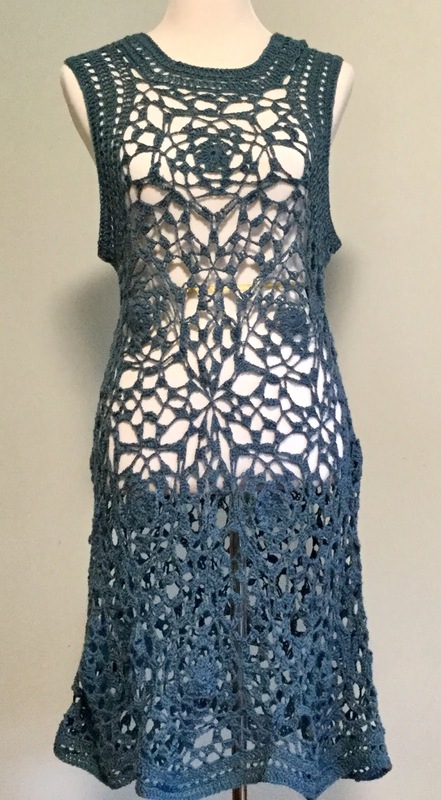 This particular piece was made with less than $10 in yarn. 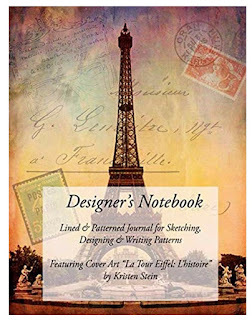 The most current selection of sketch and art notebooks available for purchase. Between my daughter and I, we go through a lot of sketchbooks. She likes unlined journals for free-form hand-lettering, doodling, sketching and writing down thoughts and ideas. Lately, I’ve been creating a like of grids with a variety of linked polynomials. 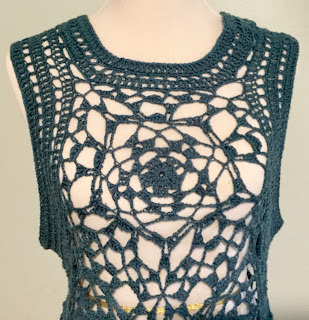 As you may have noticed from my motif crochet designs, I like to use a variety of geometric shapes. But, drawing each design freehand on blank paper takes a lot of extra time, so I started using graph paper. This inspired me to create a new line of sketchbooks and design books suitable for our needs. 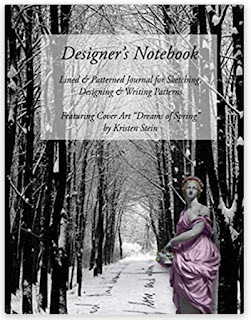 The “Art & Design” sketchbooks are 200 pgs (100 sheets) of 8.5”x11” white acid-free paper. The weight is 55# (90 GSM). This is the standard weight you find in most household or business printers. 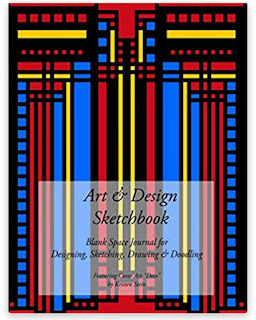 The pages are essentially blank, but I do provide a few lines at the bottom of each page to record special details about your artwork, doodle, or design idea. Each book features my artwork on the front and back cover. The “Designer’s Notebooks” are a bit different. These were entirely created because of my current need for patterned paper for writing my newest crochet patterns. The books are also 8.5”x11” acid-free white paper in 55# (90 GSM) muti-purpose weight. 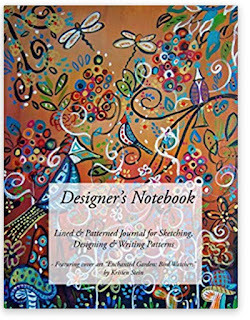 The 200 pgs (100 sheets) include a variety of patterned and lined sheets ready to be filled with your designs and written patterns or notes. These books should prove useful to a fashion designer with an interest in designing with shapes, or those who crochet, knit, quilt, etc. the pages include standard graph paper, heaxagonal patterns and modified tumbling blocks that could be used for pentagonal designs. The front and back covers depict my original artwork. If you are interested in other patterned pages, or would like to see a different cover image from my portfolio, please write and let me know. 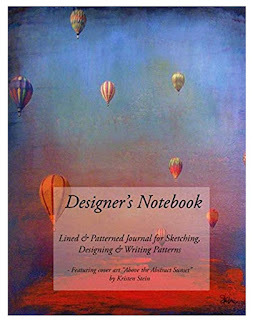 The current collection of patterns and sketchbooks available for purchase. The patterns are available in both paperback and kindle format. 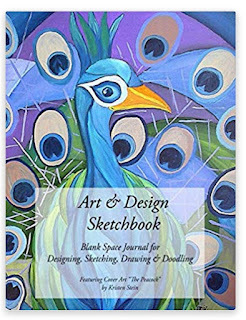 The sketch & design books are in the Paperback section. Thank you.